Flint Residents, here is an opportunity to be heard. We encourage you to participate. We are contacting you today to ask for your participation in a study about the effects of the Flint water crisis on your quality of life. As you are likely aware, high levels of lead have been detected in the Flint water system. There are efforts underway to distribute bottled water and water filters throughout the community. 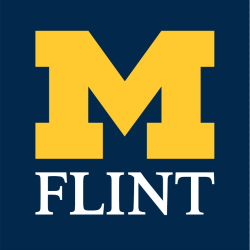 Our University of Michigan-Flint team is primarily interested in your level of concern, how you are responding to the water situation, and how trust in the water system and the government may be restored. Your participation is entirely voluntary. If you choose to participate, your responses will be kept private, anonymous, and confidential. The survey should take around 15 minutes to complete. No individual or household information will be reported. If there is a question that you are not comfortable responding to, you may choose to leave it blank. If you have questions or concerns about this study, please feel free to contact us. Thank you for your consideration and participation!